The Kitāb al-Šifāʾ (Book of the Cure) is a summa of all parts of philosophy, updating and completing Aristotle’s corpus. The Ilahiyyat (Divine Things, its metaphysical section) expands on Aristotle’s Metaphysics, adding materials from later Peripatetic tradition and Neoplatonic accretions: it gives a thorough account of the science of being qua being and of its First Principle, and a rational interpretation of Islam, applicable to all monotheisms. Abū ʿAlī Ḥusayn Ibn ʿAbd Allāh Ibn Sīnā (second from left in the picture), Avicenna in Latin, was born near Buḫārā, in nowadays Uzbekistan, and lived in Persia. He is one of the greatest philosophers in Islamic civilization, and among the chief exponents of philosophy of all times. A versatile and prolific writer, the significance and impact of his medical works (above all, the Canon of Medicine) is comparable to that of his philosophical output. The project aims at mapping the manuscript diffusion of Avicenna's Ilahiyyat, at surveying its indirect tradition, and at establishing critically the text of this work along the standards of classical philology. The edition is complemented by a facing English translation and a philosophical commentary, in order to make the edition accessible to readers not familiar with the Arabic language and scholars interested in the doctrinal content of the work. Its resumption of all previous speculation on the subject, and its tremendous impact on subsequent philosophers and theologians within and outside the Islamic world, make the Ilāhiyyāt (Divine Things) of the Kitāb al-Šifāʾ (Book of the Cure) not only the corner-stone of Avicenna’s metaphysics, but also a turning-point in the history of this discipline. 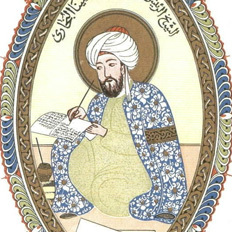 Deeply rooted in Aristotle's canonical work and in the subsequent Peripatetic tradition, open to incorporate Neoplatonic doctrines, and attentive to the agenda of contemporary theology and the intellectual needs of the society of the day, the metaphysical thought of Avicenna as expressed in the Ilāhiyyāt finds in the notion of "synthesis" its key-feature. Composed during the third decade of the XI century CE, the Ilāhiyyāt aimed at providing a new, coherent, and systematic version of Aristotle's Metaphysics, and contributed decisively to this latter's progressive eclipse in Arabic philosophy; on account of its Aristotelian ascendance, it was soon translated into Latin and enjoyed immediate and wide success among philosophers and theologians all over Europe; it influenced sensibly, though less directly, also Hebrew culture. In this way, the Ilāhiyyāt not only realized, but also fostered fruitful dialogue among different cultures (Greek, Arabic, Latin, Hebrew), religions (Islamic, Christian, Jewish), and intellectual endeavours (philosophy and theology).